As ambassador of Georgia to the Holy See, I have been reading and listening to any and all commentary regarding the visit. It is amazing to observe how diverse the information is, how many inaccuracies appear in the various comments, and how hard the mainstream international media gets on its faults to give a negative impression on the whole. I am responding to these comments in an effort to disperse this negative cloud and promote a more realistic perspective. There were three negative arguments: 1) the number of attendants at the Holy Liturgy in the football stadium; 2) the non-presence of members of the Holy Synod at this Liturgy; and 3) the protests by a marginal group, well known in Georgia as the Union of Orthodox Parents. The press also insisted on the “cool” welcome, but that can be counterargued by looking at the wide range of photos. I consider referring to large numbers in ecclesiastical contexts almost inappropriate. Comments about the number of attendants at the Holy Liturgy on Saturday morning, 1 October, at a football stadium in Tbilisi, a stadium which accommodates up to 30,000 people, fluctuated between “an empty stadium”, “a mainly empty stadium”, and “3000 attendants”. After counting attendants by using video and photo material, it became evident that there were between 6,000 and 7,000 attendants at the Holy Liturgy. Among these were a number of Catholics from Georgia (most of them live in provinces far from the capital), representatives of the Catholic communities from neighboring areas, as well as representatives of the Orthodox population of Tbilisi. These were people who came to the Holy Liturgy on Saturday morning of their own will. There was no attempt from authorities in Georgia to organize attendance. I believe this was the proper response for a democratic state. Most of the press gave a wrong data about the Georgian population, claiming that there are 4.5 million people living in Georgia. This is very outdated information, since according to census in 2014 the population is little more than 3.7 million. Of this, only 1% belongs to the Catholic Church that accommodates three liturgical rites: Latin, Armenian, and Chaldean. The majority of the population in the country belongs to the Orthodox Church of Georgia. Against this data, having 6-7,000 people in the stadium does not sound negative. On the other hand, I believe, it was a task of the Catholic Church in Georgia to distribute tickets for the Holy Liturgy. Surely, the Holy Liturgy, could have been held in a smaller venue, as occurred in 1999 at the time of a visit by Pope John Paul II. However, the open air celebration, in a very beautiful setting with favorable weather, better reflected the spirit of what was celebrated and said at the liturgy. This is a fault of mainstream media: namely, seeing ‘numbers’ instead of the ‘spirit’ when what is at stake is the celebration of the Holy Liturgy. Secondly, I was personally disappointed by the absence of members of the Holy Synod of the Orthodox Church of Georgia at the Holy Liturgy celebrated by Pope Francis. Truthfully, the Church could have sent a delegation, but it did not. Here again, without any background knowledge, this is an enigma that reads as mistreatment or coldness on the part of the hosting church. I am not looking to provide excuses because, as I said, I was disappointed. However, the inconsistent behavior of the Orthodox Church of Georgia in recent months is an explanation in itself. The non-presence of the Orthodox Church appeared awkward, especially after the warmth expressed by Catholicos-Patriarch Ilia II towards the Pope, when the aged Patriarch went to the airport to welcome the Pontiff, and then at the welcome inside the patriarchate when he spoke about fraternal love between the spiritual brothers, as successors of St. Peter and St. Andrew, founders of the Roman See and the Georgian Church; according to church tradition, the Apostle Andrew preached on the territory of Georgia. Well, the absence of the delegation from the Orthodox Church of Georgia was disappointing. Under these circumstances, however, no sources of information commented on the fact that it was actually Pope Francis’ first official visit to a majority Orthodox country. He had visited Greece, on the island of Lesbos at the invitation of Patriarch Bartholomew of Constantinople and was greeted there by Archbishop Ieronymos of Athens; but this was not an official state visit. Moreover, in order to meet Patriarch Kirill of Moscow and All Russia, he travelled to Cuba. Thirdly, a brief comment on the infamous Union of Orthodox Parents. Their existence is shameful for our society. Unfortunately, the Union also includes a few priests, while their leader is also a clergyman. The language adopted and the information provided by this marginal group is beneath criticism and beyond intelligent discourse. Their expression and behavior is full of hatred and hostility as well as unsubstantial. In anticipation of the visit, it was a well known fact that they would protest. And they did. Again, the state police controlled areas where this group was protesting but did not push them back. In my view, it would have been worse if they were forcefully removed from those places. The Union of Orthodox Parents always protests non pro-Russian activities and events. This requires increasing mutual esteem and consideration, which can never lay aside respect for the sovereign rights of every country within the framework of international law. […] This requires that everyone make full use of their particular identity, having the possibility, above all else, to coexist peacefully in their homeland, or freely to return to that land, if for some reason they have been forced to leave it. The encounter of the leader of Catholics worldwide with the leader of the autocephalous Orthodox Church of Georgia was an event in itself. Catholicos-Patriarch Ilia II, 83 years old, together with a number of members of the Holy Synod, met Pope Francis at the airport. It was a warm welcome. They sat down in the airport to exchange few words. After visiting the presidential palace, the Holy Father paid a visit to the patriarchate, where the two leaders held a private conversation and exchanged formal greetings. We live in a world full of contradictions. The whole world is under the challenge of ongoing complex processes. […] The Church also has a difficult times, but we must try with love, patience and grace help each other to descend the truth, to seek the grace and exchange our experiences. The Orthodox Church of Georgia, rooted in the preaching of the Apostles, in particular that of the Apostle Andrew, and the Church of Rome, founded on the martyrdom of the Apostle Peter, are given the grace to renew today, in the name of Christ and to his glory, the beauty of apostolic fraternity. Peter and Andrew were indeed brothers: the Lord Jesus called them to leave their nets and to become, together, fishers of men (cf. Mk 1:16-17). Dear Brother, let us allow the Lord Jesus to look upon us anew, let us once again experience the attraction of his call to leave everything that prevents us from proclaiming together his presence. This blessed land is rich in courageous heroes, in keeping with the Gospel, who like Saint George knew how to defeat evil. I think of many monks, and especially of numerous martyrs, whose lives triumphed “with faith and patience”: they have passed through the winepress of pain, remaining united with the Lord and have thus brought Paschal fruit to Georgia, watering this land with their blood, poured out of love. May their intercession bring relief to the many Christians who even today suffer persecution and slander. The end of the visit was truly emotionally charged. Ilia II met the Pontiff at the entrance of the Svetitskhoveli Cathedral in Mtskheta, the ancient capital of Georgia. The cathedral was built in the 11th century on the site of the first Christian church erected in the newly converted state of Iberia, known in the Georgian language as Kartli. The chiming of bells and traditional Georgian chant accompanied their entrance into the cathedral. Before taking their seats at the bottom of the ambion, they stopped at the burial place of the holy garment. There followed the farewell speeches. There followed chanting in Aramaic by a priest and members of the Assyrian Orthodox community of the Orthodox Church of Georgia. The cathedral was packed with Orthodox Georgians. All who were present were thrilled. The words of the Patriarch and the Pope, in the context of the cathedral chant, created a highly emotional and spiritual atmosphere. Apart from what I noted about the absence of the delegation of the Orthodox Church of Georgia at the Holy Liturgy celebrated by the Pontiff, I have certain other concerns. The timing of this visit was not perfect, coinciding only two weeks before the parliamentary elections in a country divided and affected by political processes. It was not the most appropriate time, but this was the only date for the Pope to come to Georgia. What was Pope Francis’ evaluation of the visit? I had two surprises in Georgia. One: I’ve never imagined so much culture, so much faith, so much Christianity… It is a believing people and an ancient Christian culture! A people of so many martyrs. I discovered something that I didn’t know: the breadth of the Georgian faith. The second surprise was the patriarch: he is a man of God. This man has moved me. I many times have found that I left with the heart and moved and full of the sensitivity of having found a man of God, truly a man of God. 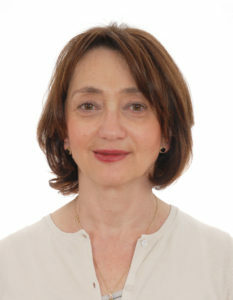 Tamara Grdzelidze, D.Phil. (University of Oxford), Ph.D. (Tbilisi State University), Doctor honoris causa (University of Bern), is the Extraordinary and Plenipotentiary Ambassador of Georgia to the Holy See and the Sovereign Order of Malta since 2014. Until then, she worked between 2001 and 2013, as an Orthodox theologian at the World Council of Churches, at the Secretariat on Faith and Order Commission for promotion of Christian unity (Geneva, Switzerland). She published widely on Georgian hagiography and Church history, inter-confessional dialogue, ecclesiology, hermeneutics, orthodoxy and the contemporary world.